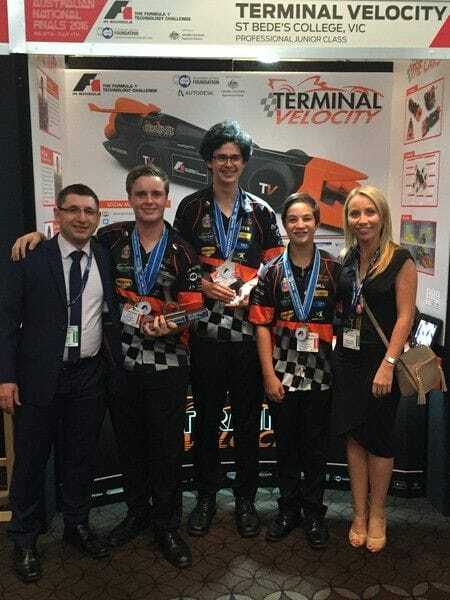 In the week of 29 February, a team of three St Bede's students - Peter Russell, Joel Bright and Will Clifton - competed in the National Finals of the F1TM in Schools Technology Challenge in Penrith, New South Wales. This was the largest STEM (Science, Technology, Engineering and Mathematics) event ever held in Australia. F1TM in Schools Technology Challenge is a holistic action learning program which focuses on developing long term employability skills. Students learn leadership, team building, project management, business planning, public speaking, marketing, collaboration, writing and presentation skills. Many of the students engaged in this program have been offered employment from related industries; others are pursued by universities with competing scholarships. The students worked extremely hard on this project for the last 18 months, collaborating with many organisations, industry and higher education facilities to source knowledge and resources during their project. 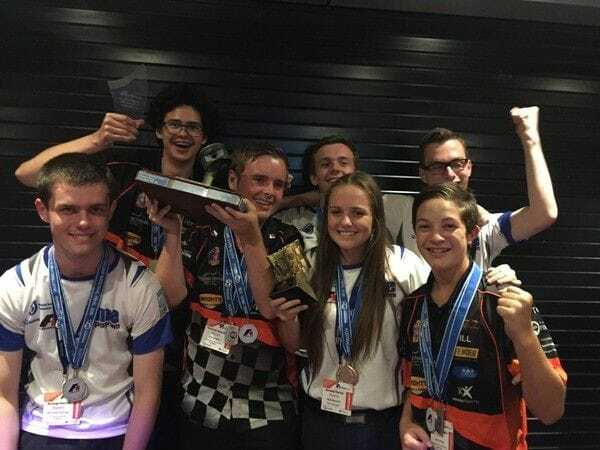 The students had to construct and race a miniature F1 car, seek financial support from industry and manage these responsibly in order to fund the project. 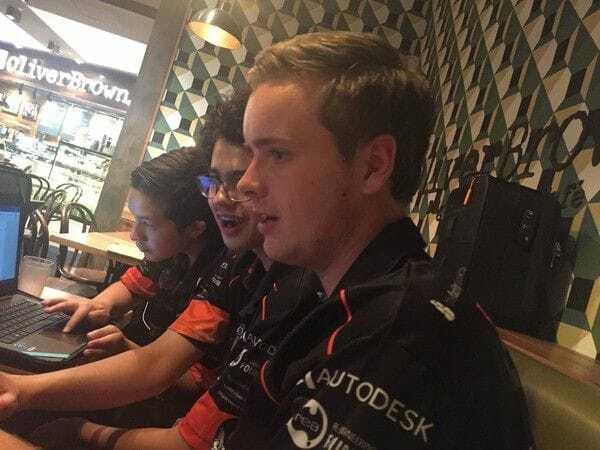 They also had to develop and implement a design, engineer and have a manufacturing program that is based on contemporary research and processes and develop and implement a holistic marketing strategy to promote their team and car. This included designing a team logo, team uniform, merchandising and promotional materials and organising and operating an exhibition booth. They then had to report to industry experts on all key aspects of the project which was completed both orally in front of a panel and in writing by completing a detailed portfolio. Although they missed out on a place in the world finals, the team came away with the "Best Team Marketing Award." They were also finalists in other award categories. During the awards ceremony, the students were also introduced to the Hon. Karen Andrews MP, Assistant Minister for Science. She was extremely pleased with the students and the work they had produced. About: Mark is the Professional Learning and Lasallian Coordinator at St Bede's College, Mentone.